For over 40 years, Shepherd Offshore has supported all sectors of industry with its craneage capability and capacity, providing lifting and material handling solutions for our clients’ supply chain needs. Our offering is unique, with one of the largest permanent lift capacities in the UK, located within deep-water facilities. 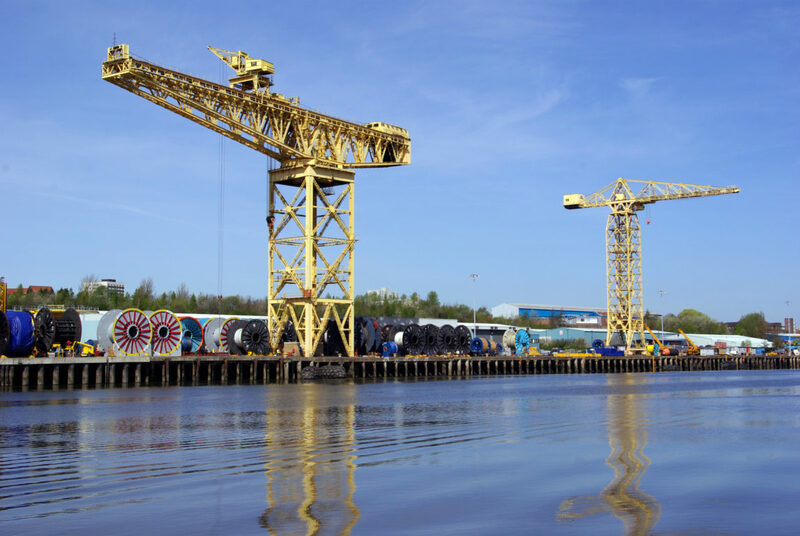 Shepherd Offshore operates one of the largest permanent waterside heavy capacities in the UK, supported by a diverse range of plant, mobile and crawler cranes that are available at any time. We pride ourselves on our versatility, whether you need a one-off crane hire, abnormal load transfer, full project management or a contract lift solution. Shepherd Offshore has the people, capability and capacity to complete your project to the highest standard. Our capability and crane capacity are continually evolving, with dynamic modern equipment ranging in size from 30-ton rough terrain cranes and forklifts to 800-ton crawler cranes. Operating an ISO certificated Quality Management System, we aim to provide an excellent service 24-hours a day, 365 days of the year. We ensure our plant and cranes meet the highest of standards on all scopes, with regular inspections and a strict maintenance regime. Our company’s workforce offers the resources and flexibility to provide regular maintenance activities, with the option of additional support. We also offer the ability to provide a rapid response service for emergency maintenance activities. We treat each delivery of your cargo or product information in the same way, taking care to communicate with you at every stage, from preparation to completion.